When it came time to apply for college, so many of us scrambled to compile those lists of community service hours to bolster our resumes. Was there enough? Could I explain in my personal statement what this service meant to me? From the time we’re young, this idea is engrained in our heads that volunteering is important. There’s probably thousands of variations that we have heard at one time or another of why you have to give back to your community and the impact that service has, but the question remained, why? It was not until I came to UC Merced that I realized why this was truly the case. This realization was all thanks to our students — the passionate individuals who reaffirm why this campus is truly committed to service and creating the leaders of tomorrow. Learning and volunteering are by no means mutually exclusive. Every time someone gives back, there's always something given in return — developing new connections with people, the feeling that comes with knowing you did something good, or even learning a new skill. Our students take what they learn in the classrooms and merge it with their passions to truly impact the surrounding community. Looking at data alone, over 60 percent of our students contribute in some form or another to the community. Seeing what this truly equates to in the community is why this university was built here and why we are a campus like no other. Every time someone gives back, there's always something given in return — developing new connections with people, the feeling that comes with knowing you did something good, or even learning a new skill. My passion lies in the world of health care. The fact that we still live in a society where people cannot get basic access to health care always baffles me. Merced, by all definitions, is a medical desert — but witnessing firsthand the innovative approaches of our students to address this concern is how I’ve learned that our students are truly unique. Since my first year on campus, I have seen students create programs such as free needle exchanges, and heart screenings for student-athletes. Multiple organizations raise money for local hospitals and participate in events to raise awareness for different diseases that affect our community. The most important of all, in my opinion, are those initiatives that inspire the next generation of students to pursue careers in the health care industry. And this is by no means is only limited to students interested in health care. This altruistic nature extends into the entirety of our students, who utilize their diverse backgrounds and experiences to improve those of the people around them and the community we have all come to call home. They apply themselves wherever they can and in whatever ways they can to bring positive changes into the community and bridge the campus from its own separate entity to one that is integrated into the foundations of our city. That’s the Bobcat Spirit — cultivating a culture of application of knowledge for the greater good. We learn, we apply, and we make lasting impacts wherever we go. 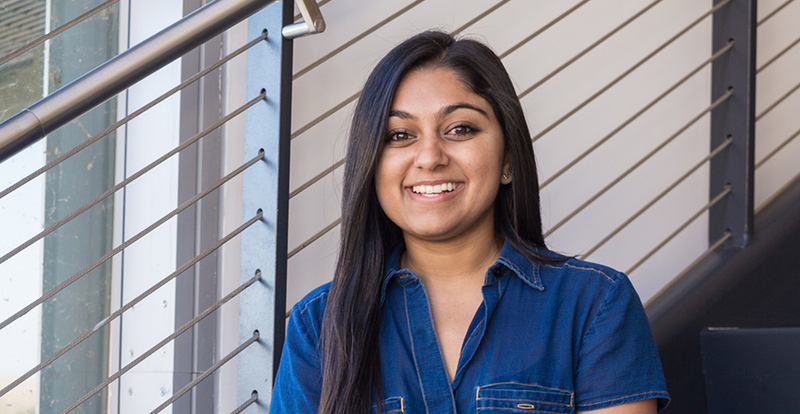 Salma Memon is a fourth-year human biology major and president of the Associated Students of UC Merced.